Adventures of a Thrifty Mommy: Barney: Imagine With Barney Review and Giveaway! - CLOSED! 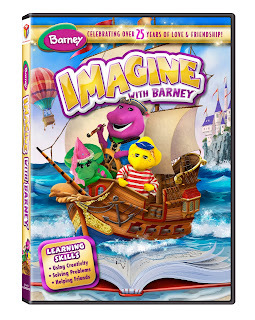 Barney: Imagine With Barney Review and Giveaway! - CLOSED! **This is a Sponsored Post. I was given the product in exchange for this review. Attention Barney fans: Next week, July 9th to be exact, HiT Entertainment and Lionsgate are set to release a brand new DVD entitled: Barney: Imagine With Barney! Did you know that Barney has been loved by moms and children for 25 years now?! I remember watching Barney with my cousins while I babysat them. Now my kids and daycare kids love and enjoy Barney, Baby Bop, BJ, Riff and all of their pals! 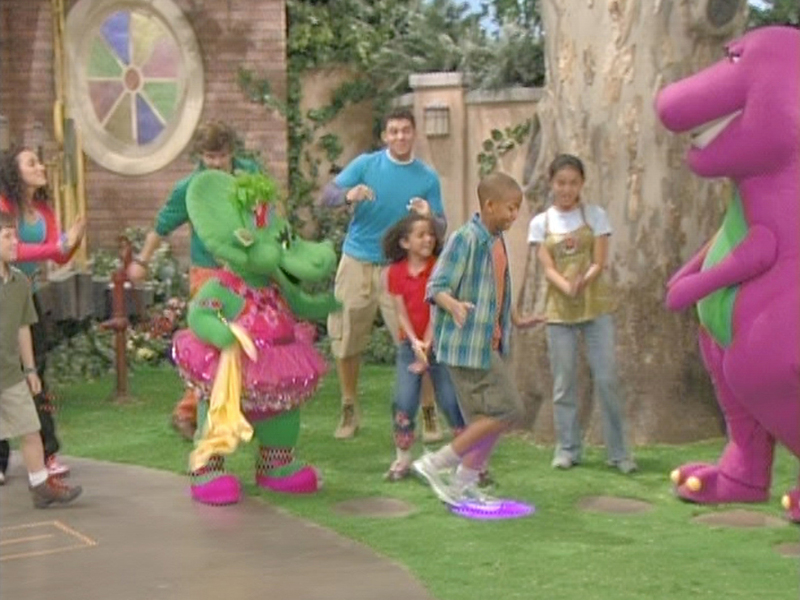 The kids love to sing along and dance with Barney and his friends. The kids were all super excited to watch a brand new Barney DVD filled with four all-new episodes all about using your imagination and being creative. The kids loved to watch Barney and the gang use their imaginations to bring a painting to life. The kids also loved the new Imagination Vacation game included in the bonus features! There is also a karaoke music video that the kids loved singing along to: "If I Lived Under the Sea." This is a great DVD for preschoolers! Pick up your copy of Barney: Imagine with Barney beginning July 9th! Join everyone’s favorite purple dinosaur for whimsical new adventures in Barney®: Imagine with Barney, arriving on DVD, Digital Download and Video on Demand July 9, 2013 from Lionsgate Home Entertainment and HIT Entertainment. Featuring four all-new episodes plus bonus features that include an exclusive all-new game “Imagination Vacation,” the Barney: Imagine with Barney DVD will be available for the suggested retail price of $14.98. Trusted by moms and adored by children, Barney displays sharing, caring, imagining, dancing and learning on television, online and through live events, home entertainment, toys and publishing. In 2013, Barney is celebrating over 25 years of sharing, caring and imagination with the Barney 25 Million Hugs campaign. Barney is inviting fans of all ages to help him reach his goal of sharing 25 million Barney hugs around the world through the site www.ShareBarneyHugs.com and via email, Facebook and Twitter. Come along for an imagination extravaganza! Join Barney and his friends as they use their imaginations to visit places near and far and explore their creativity through drawing, song and dance! The dinos explore a tropical island paradise when they bring a painting to life and go for a ride when they build their very own bus and airplane using imagination and teamwork! The dinos always know how to have a tee-rific time with creativity and good friends! You can purchase Barney: Imagine With Barney on Amazon for only $10.99! Thanks to HiT Entertainment and Lionsgate, one lucky Adventures of a Thrifty Mommy reader will win a DVD copy of Barney: Imagine With Barney! Click "Read more" and follow the Rafflecopter directions to enter. Disclosure of Material Connection: I received one or more of the products or services mentioned above for free in the hope that I would mention it on my blog. Regardless, I only recommend products or services I use personally and believe will be good for my readers. I am disclosing this in accordance with the Federal Trade Commission’s 16 CFR, Part 255: “Guides Concerning the Use of Endorsements and Testimonials in Advertising. Would love the Planes, Trains, and Cars DVD, too! I like the games they have on their site. The Barney's Storybook Treasury App looks neat. I like the Please and Thank You book for my grandkids. 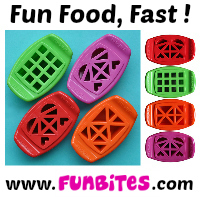 The games are such fun and we love the music. I learned it has games, my daughter will like playing them! I love the coloring sheets. I learned that you can print out coloring sheets and that you can play free online kids games on their site. I liked the Catch the Monkeys game. I love you, you love me, were a happy family..... I like the online games. The little one enjoys the coloring sheets!